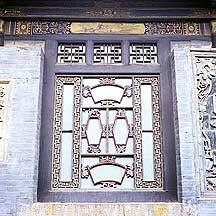 A selection of details and elements in architecture and interior designs. 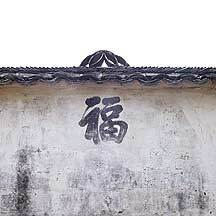 Swallows are common in villages. 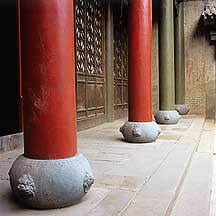 If they like your place and decided to stay by building their nests, then you are in good fortune. 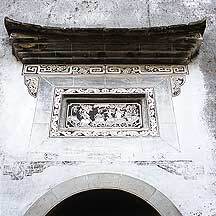 the nest are usually built underneath eaves or the above an entrance doorway. 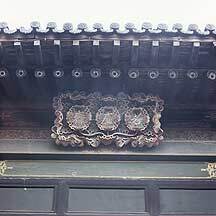 One I saw above a doorway; the owner installed a metal cover above the nest to shield it from rain. 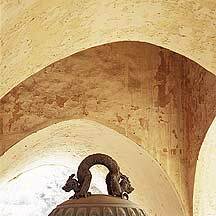 Here it perches on a ceiling hook. 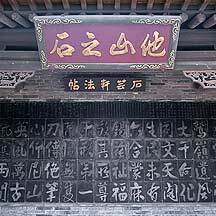 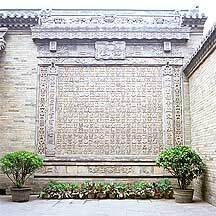 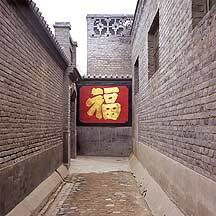 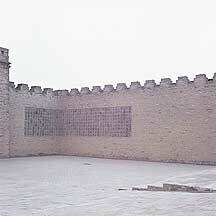 The character 福 fu (fortune) written on the wall directly opposite a entrance. 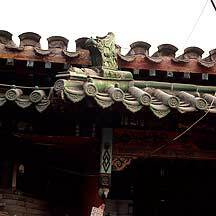 Close-up of the previous beam with the carvings. 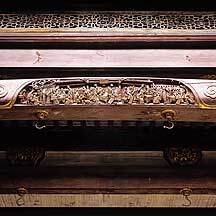 The carvings are gold painted. 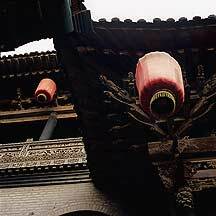 The hooks are used for hanging lanterns. 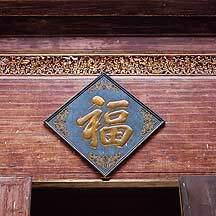 A masterfully carved and painted wood piece. 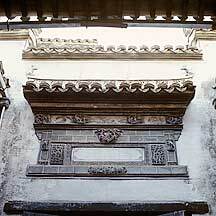 Detail of a corner of an eave showing the distinctive Chinese brackets know as 斗拱Dougong. 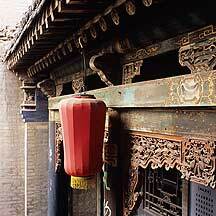 Dougongs are sophisticated supportive elements - to support eaves and beams. 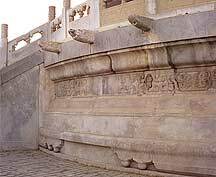 A dragon head scream into the gloomy sky. 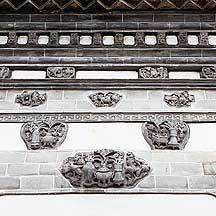 Mythical animals, such as the dragon, have good balance of fearsomeness and nobleness that suited the wealthy merchants' taste. 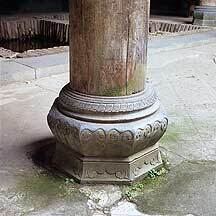 The good thing about coming to these places in person is that you can freely touch these and feel the paints peeling off. 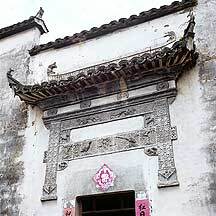 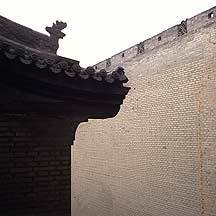 A 门罩 menzhao directly above an entrance doorway. 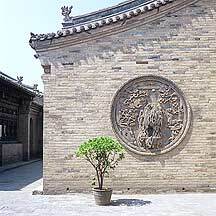 Stone relief carvings attached to a wall. 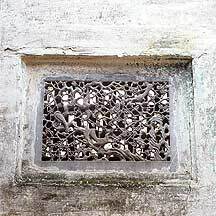 This window screen was carved from a solid slab of stone. 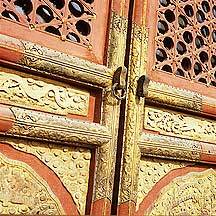 I was told that a foreigner offered a large sum for it but fortunately was turned down. 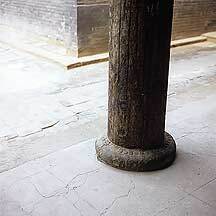 The stone base of the pillars and wood walls.